Christine is a trusted counselor and experienced litigator on a full range of labor and employment issues. She devotes a substantial amount of her practice to proactively assisting employers in complying with state and federal employment laws, navigating complex leave and accommodation situations, and handling personnel issues. She works closely with employers to create policies and practices that satisfy both the employer’s business needs and the law. In addition, she conducts training and internal investigations on behalf of her clients. 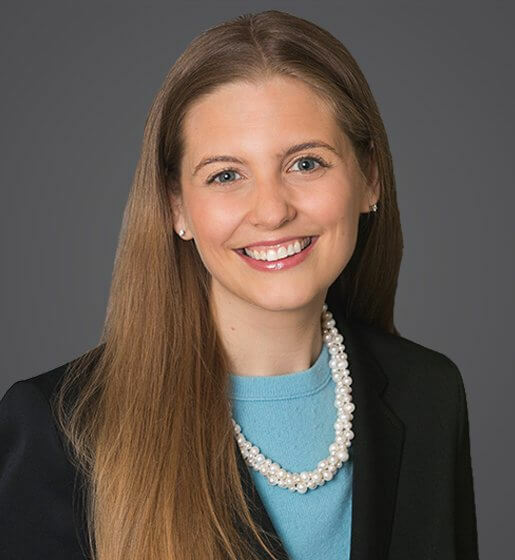 Christine represents employers before federal and state courts and administrative agencies throughout the country, including in the areas of trade secret and noncompetition, wage and hour, employee benefits, and employment discrimination. She has successfully obtained preliminary injunctions in matters related to restrictive covenants and trade secrets. She began her legal career as a litigator in the intellectual property department of a national firm’s Chicago office. Christine continued her career in the labor and employment group of a firm located in Des Moines, Iowa. She is a frequent speaker and writer on employment matters. Christine lives in Mequon, Wisconsin with her husband Todd and their children. December 14, 2018 - Business Management Daily - "LGBT employee rights in transition as courts weigh in on bias"
November 16, 2018 - Business Management Daily - "One year later, what employers can do to address #MeToo"
April 22, 2019 - Law360 - "Politics Looms As High Court Agrees To Weigh LGBT Rights"
Last year, a Wisconsin court of appeals held that it was unsettled under Wisconsin law whether employers may be required to pay employees for time spent driving between home and work in company vans if the vans are also transporting work tools and equipment. On March 14, 2019, Keith Sonderling, the acting administrator of the Wage and Hour Division (WHD) of the Department of Labor (DOL) issued an opinion letter clarifying the DOL’s position on designating and taking leave under the Family and Medical Leave Act (FMLA) and placing the department at odds with the Ninth Circuit’s Escriba decision. On February 20, 2018, the Supreme Court of the United States tackled another controversy from the Sixth Circuit Court of Appeals regarding whether retiree medical benefits enjoyed by individuals who retired while a collective bargaining agreement (CBA) was in effect must be continued by the employer even after the expiration of the labor contract that created the benefits. Once again, the Supreme Court reversed the Sixth Circuit in ruling that the CBA at issue did not clearly obligate the employer to provide retiree medical benefits indefinitely.